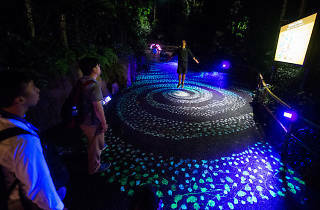 Here's a reason to not head to bed when it gets dark outside. 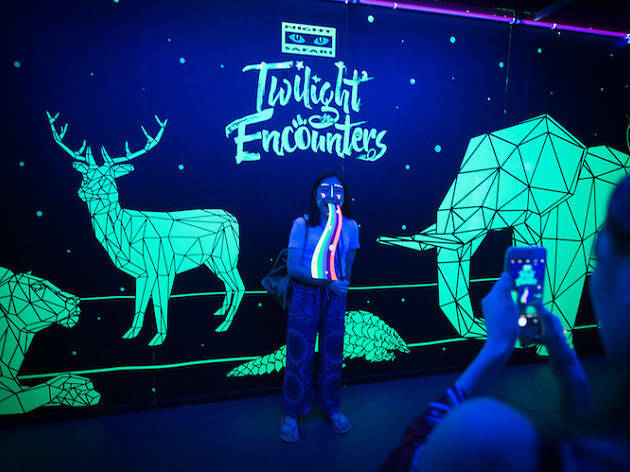 There's plenty to catch and see at Twilight Encounters, Night Safari's wildest glow-in-the-dark event, where vibrant geometic animal-themed light sculptures and walking trails are illuminated with neon lights. 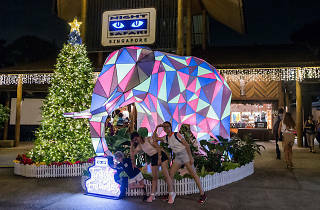 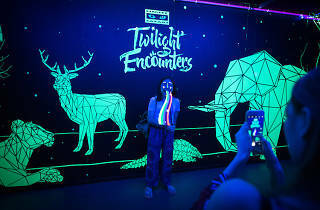 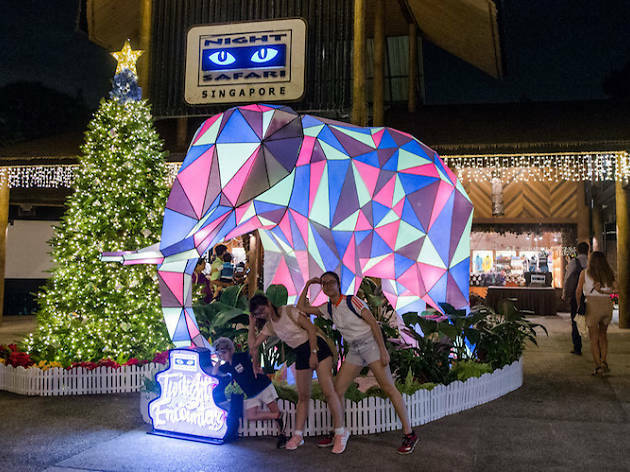 From majestic glowing elephant and lion at the park's entrance and brightly-lit Thumbuakar roaming performance to a spectrum of Insta-worthy photo opportunitues along the way, Twilight Encounters allows you an unique night walk experience to view nocturnal animals within their natural surroundings. 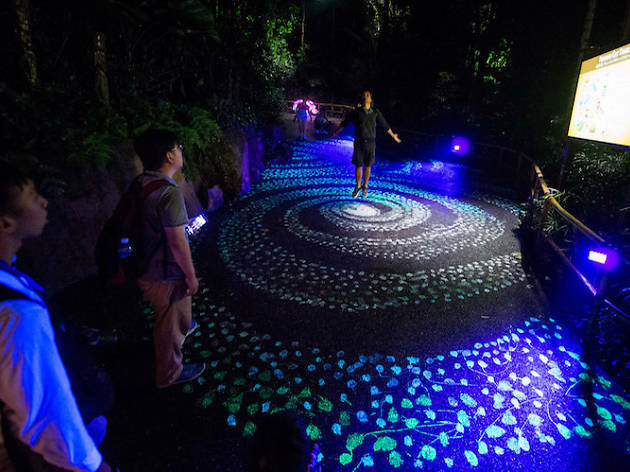 Pro tip: head down on Fridays and Saturdays as that's when the park runs the most number of free activities.